The Trust is an independent body that includes policymakers, philanthropists, artistic practitioners, business and community leaders and the public. We practice a generative thought process that results in obtainable solutions for arts and culturally-related topics. The Trust’s intent is to develop a culture and environment for long-term sustainability of the arts in Greater Rochester. The Arts help businesses build market share. Leigh Johnson, founder of Custom Communications, Inc/Custom Alarm, found this to be true when he sponsored “The Goosinator” as part of the Goose is Loose! public art project. Noting that his offices were out of the general stream of traffic, he definitely saw a return on investment with the increase in traffic of people coming by to see his goose. Looking at the murals scattered around town on buildings by artist Greg Wimmer, one can easily see the whimsy coupled with the pragmatic. 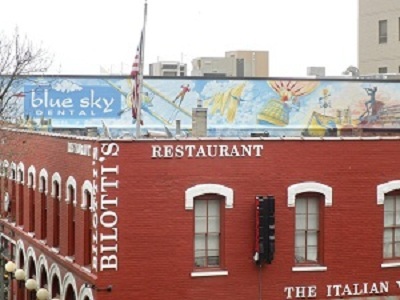 Looking across from the BioBusiness Building, the mural indicating Blue Sky Dental is a perfect way of meshing the real blue sky above with the artwork. Think Mutual Bank is a strong supporter of the arts. Their sponsorship of local theatre, music and public art is well-known and well-appreciated, and this reflects back positively on their employees. 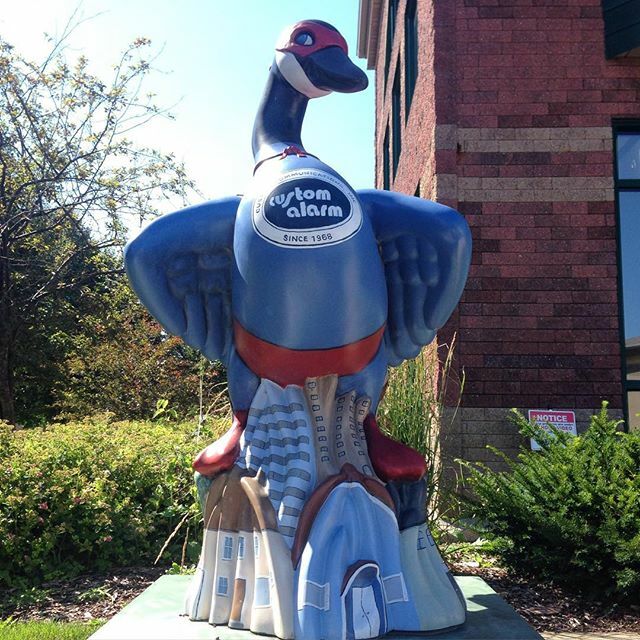 Showcasing Minnesota Artists, The Goose is Loose! was the first public art project of the Trust. Waddled out during Rochesterfest 2009 with its 150,000 attendees, these whimsically decorated goose statues are displayed in locations around Rochester, including the Rochester International Airport. It engendered such excitement that photos were seen in social media around the world. Demand for a second public art project resulted in Life’s a Bench!, again showcasing our creative artists, including high school students. The benches fulfilled a need in downtown Rochester to provide more seating along with the notion that art can be functional as well as artistic. 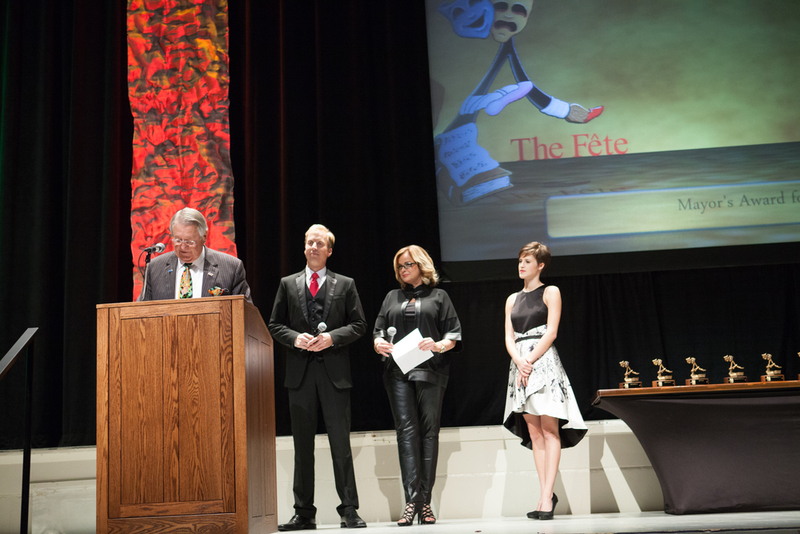 The Fête is an annual gathering of the community that celebrates excellence in the arts in nine categories by honoring the very best with the Ardee Awards. Named in recognition of Mayor Ardell F. Brede’s enduring support of the arts, recipients represent the visual and performing arts and the humanities, as well as those whose support through leadership, education and business have had a significant impact on these endeavors. Dancing for the Arts pairs ten local Rochester celebrities with professional partners from the Dahl Dance Center in a toe-to-toe friendly competition. Its purpose is to raise funds for youth arts education and the services/programs of the Trust. A sell-out event since its inception in 2012, grants provided to youth oriented nonprofits have served over 250,000 youth.